Patrick Williams is a founding member of Southdowns and, prior to setting up the company with colleagues in 1996, he was technical director for Noise and Vibration at Ashdown Environmental. He was responsible for the project and technical management of the noise and vibration impact assessment of the Channel Tunnel Rail Link in the early 1990s and, since then, has worked on many other railway and infrastructure projects throughout the UK and overseas. Before this he worked at the Institute of Sound and Vibration Research at Southampton University where he specialised in environmental noise research and obtained an MSc in Sound and Vibration Studies. 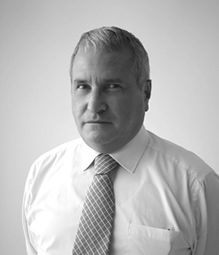 He has over twenty five years experience of acoustics work obtained in industrial, commercial and research organisations, and provides specialist advice to clients in the public and private sector on the assessment of noise and vibration associated with residential, transport, industrial and commercial developments.